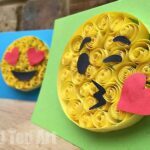 Our recent love affair with Easy Paper Quilling continues. With another great post from one of our guest writers – Ritu. 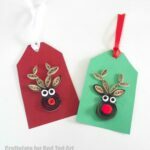 Today, Ritu shares here easy and quick Paper Quilled Christmas Tree. 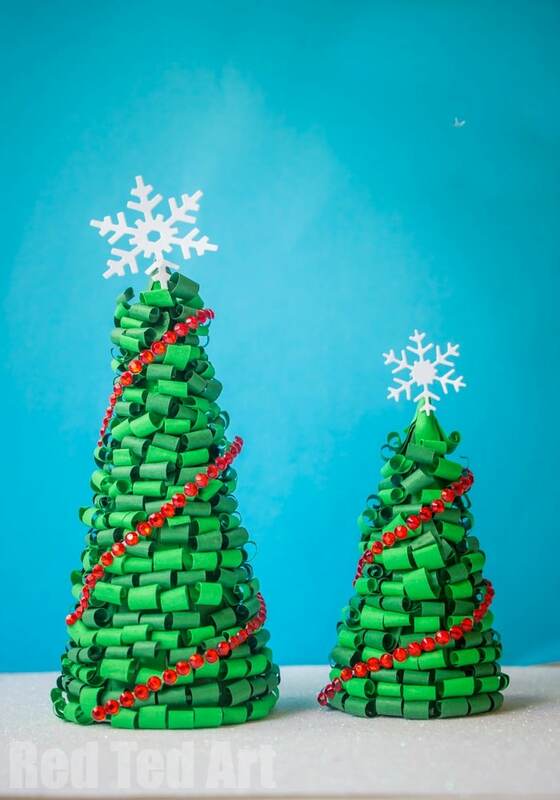 Paper Quilled Christmas Trees are an easy inexpensive way to add color to a table or mantel piece. 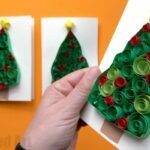 Let me introduce you all to my new favorite Christmas decorations – 3D Paper Quilled Christmas Trees! 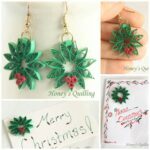 I love all things quilling lately, so this is just my obsession extending into Christmas. 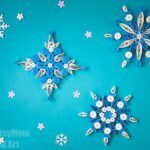 We shared the paper quilled snowflakes tutorial earlier, today we are sharing another pretty craft with you. 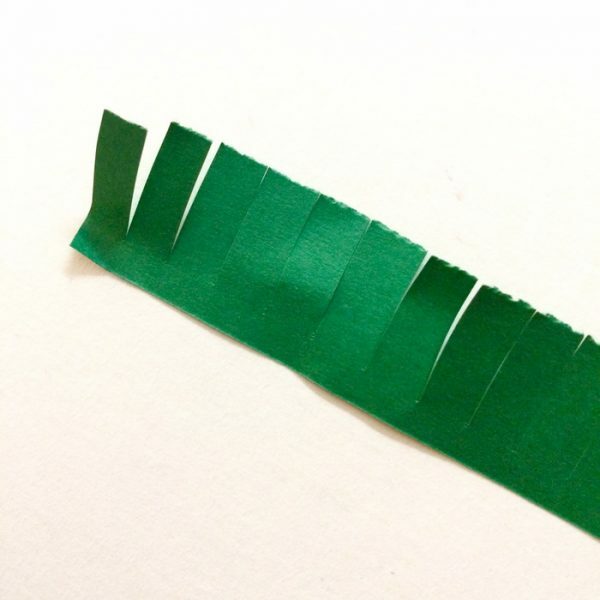 Cut multiple 2 cm strips from the dark green coloured construction paper. Cut fringes 0.5 cm apart from one end to the other. While making the fringes, take care not to cut through the paper leaving 0.5 cm strip along one edge. 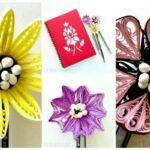 Roll each fringe outwards using a quilling slotted tool. 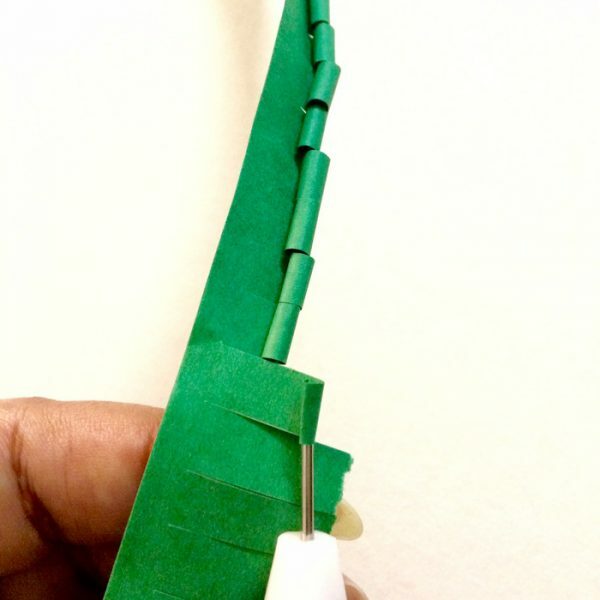 Create multiple strips in both dark green and light green and repeat the steps 2 & 3 for each strip. Remember to create equal number of dark and light green strips. 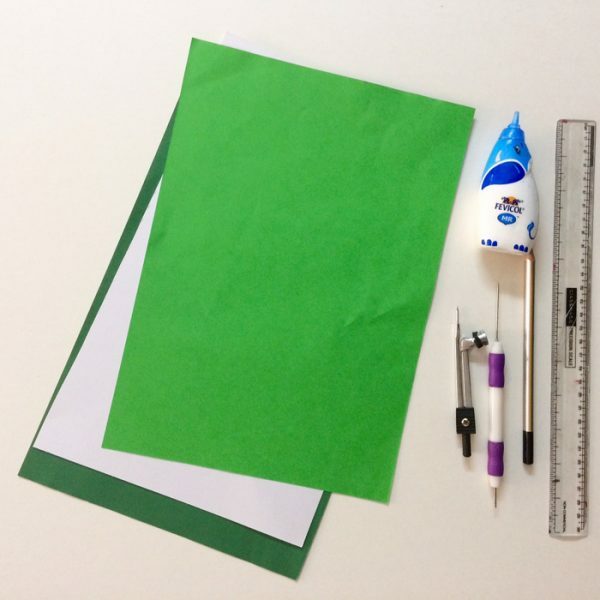 To create the base of the tree, cut a circle from the white paper. The radius of the circle determines the height of the tree. For the bigger tree [see main image], the radius was 4 cm. You can vary the radius to create multiple trees with different radius. 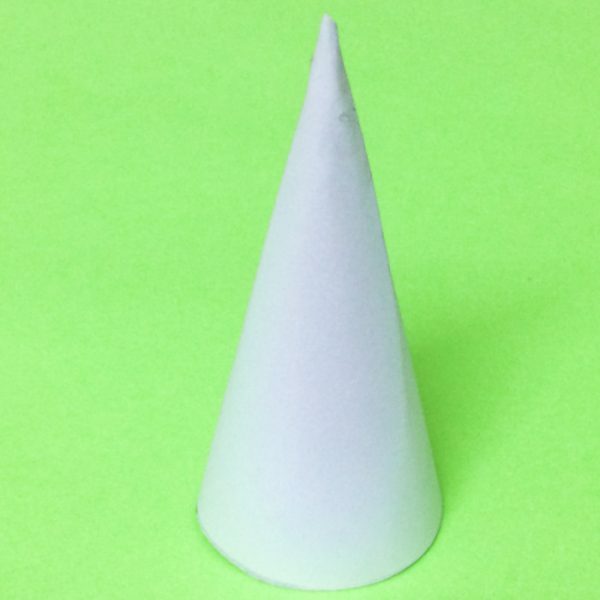 Roll and join both ends with glue to form a cone. Secure with tape. Start sticking the fringed paper strips in a circle around the cone. Start at the bottom and move to the tip, at each point adding a new layer. A simple tip – don’t leave a lot of distance between two strips as the white gaps between them will be revealed. Alternate between the shades of green till you cover the whole cone. Decorate the Christmas tree by gluing sequins or rhinestone stickers diagonally. Add a bright, star foam sticker at the top to complete the tree. We stuck snowflake cutouts instead of stars, but you could really decorate it any way you want to. 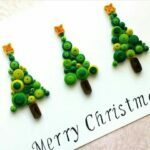 Use pom-poms, glitter, cotton or even white splatter paint on the 3D Paper Quilling Christmas Trees. 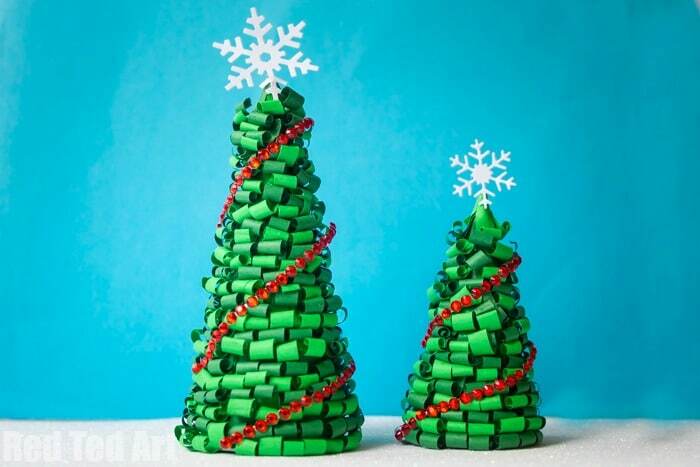 Your 3D Paper Quilled Christmas Trees are ready. These cone-shaped Christmas ornaments will look stunning on a table setting or mantelpiece. Miniature trees can even be hung as ornaments. 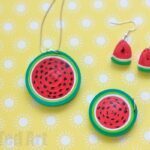 Isn’t it adorable?! Do take a look at Ritu’s fantastic Paper Quilled Snowflakes too! 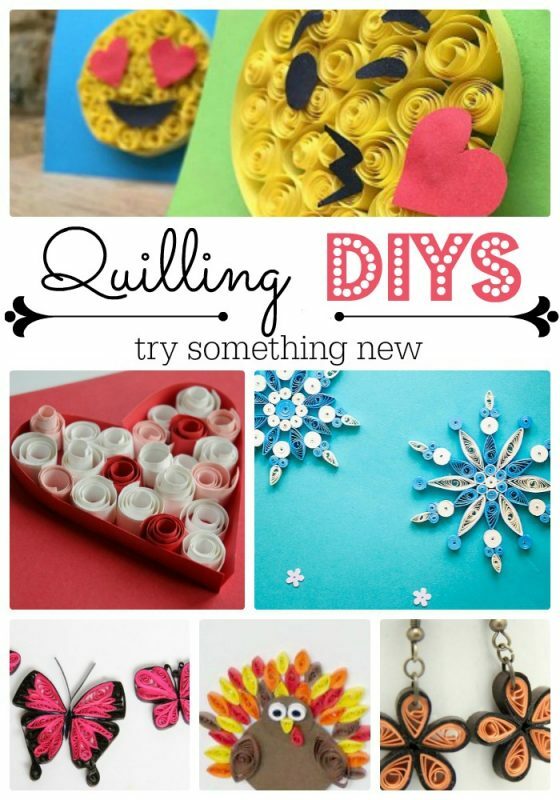 And if you are feeling inspired, we have many more Paper Quilling Patterns for you to browse and have a go at!